Every year it seems like it takes forever for it to get here. But in a few short weeks, the wait will finally be over—football will begin once again. Players will start reporting to training camp in mid-to-late July. The talk will start to steer away from all the off-field drama and start focusing on where it belongs—the on-field drama. You know, with things like position battles. This year, there should be quite a few good ones across the league. But the best one will likely take place in Florham Park, New Jersey, at the Atlantic Health Jets Training Center– where the New York Jets hold training camp. 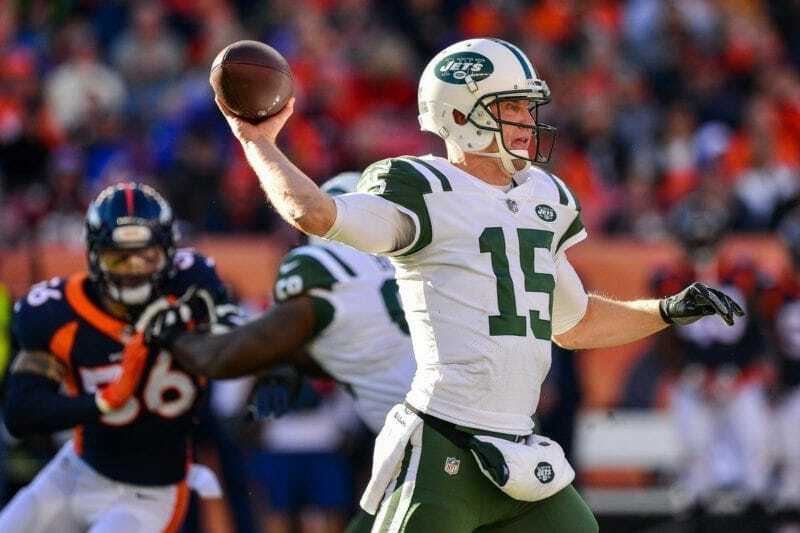 Of the many decisions that Jets head coach Todd Bowles is going to have to make, choosing between Josh McCown, Teddy Bridgewater, and Sam Darnold could very well be the toughest. The plan was simple. The Jets entered the offseason with every intention of drafting a quarterback in the first round. But they didn’t want to rush him into the lineup, so they retained a veteran. He could start while the rookie learned the ropes. As a Plan B, they acquired a former first-round pick trying to work his way back from a devastating knee injury. If he happens to be the better man of the group—great. Between the three, the team was bound to have at least one decent quarterback. But the question is who? Unlike other teams, the Jets are open to starting a rookie. But they will only do so if they feel Darnold is ready. With McCown on the roster, they will not have to start him if they aren’t 100 percent confident he’s ready. Josh McCown did an admirable job in the 13 games he played in during the 2017 season. So far, there hasn’t been a negative word printed about him during the offseason. There is no reason to think he is not going to be up to the task, and he has been named the No. 1 quarterback entering training camp. But that is just for training camp; Week One is another story. 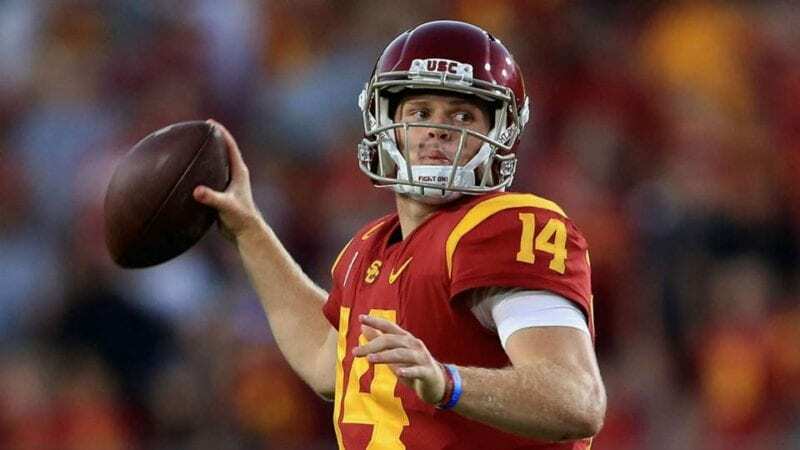 The coaches are not going to shove Darnold into the lineup. But they are going to do what they can to get him ready to play sooner rather than later. “If you treat them like a rookie, they’ll become a rookie, so we threw the whole book at him to see what he can handle and what he needs to work on — just like the other two — and he’s done a really good job,” Jets offensive coordinator Jeremy Bates said after a minicamp workout. Darnold infamously fumbled his first snap during offseason workouts, but the word on him ever since has been nothing but positive. McCown has had the bulk of the first-team reps, but Darnold has worked with the 1’s as well. According to reports, his power and touch have been everything it was expected to be. Of course, if he isn’t quite ready, then he isn’t quite ready. But while most teams would throw him to the wolves and hope for the best as long as he’s close, the Jets don’t need to. Not only do they have a capable veteran in McCown, but they have a former first-round pick in Teddy Bridgewater. 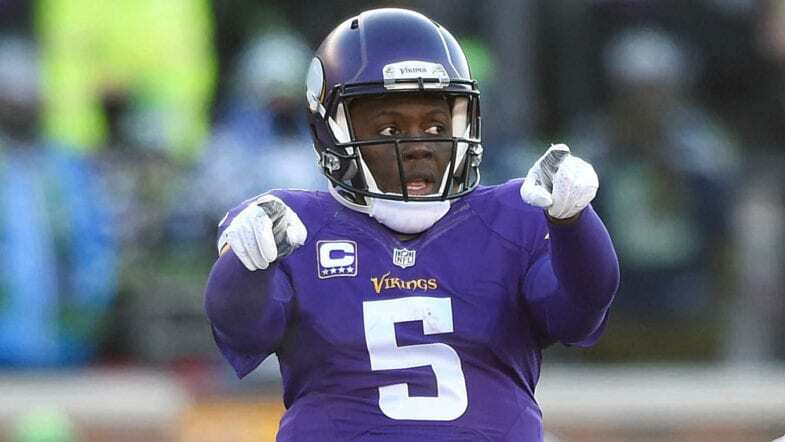 Bridgewater was expected to be the franchise quarterback for the Vikings when they made him a first-round pick in 2014. He was well on his way to following through on that potential when he suffered a horrendous knee injury prior to the start of the 2016 season. Minnesota opted not to take a chance on his knee and went in another direction (Kirk Cousins). But with the promise he showed prior to his injury, someone was bound to take a chance on him. The Jets did just that. Rumor has it, he has looked good during offseason workouts. So good that there is speculation the team could put him up on the trading block if he keeps progressing. Of course, their best chance will be if someone else loses a quarterback to a preseason injury. Up until that happens (if it does), he’ll be in the running to start Week One as well. It might not be a bad idea to give him a start or two if he looks up to it. That way, when the trade offers start coming in, they’ll have more of a reason to demand more. It would almost be easier for Bowles if one of his QB trio were to struggle during the preseason. That way the decision will not be too hard for him. But then again, if all three were to play like guys that deserve to start…Making that decision is the kind of problem every head coach would like to have.